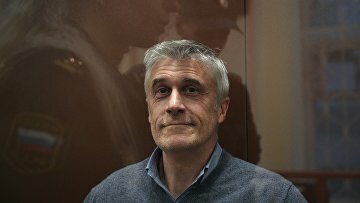 Moscow City Court upholds detention of Baring Vostok founder Michael Calvey | Russian Legal Information Agency (RAPSI). MOSCOW, February 28 (RAPSI) – The Moscow City Court had dismissed an appeal filed by the founder of Baring Vostok investment company, U.S. citizen Michael Calvey, against his detention in a 2.5-billion-ruble (about $40 million) embezzlement case, the court’s press-service told RAPSI. On February 16, Moscow’s Basmanny District Court ordered detention of Calvey until April 13. The court refused to release Baring Vostok founder on a 5-million-ruble bail or put under house arrest despite his willingness to cooperate with investigators.